Opened in 2013, Mike’s Auto Body in Richmond contains 4,500 total square feet with 4,000 square feet of production area. Mike’s Auto Body in Richmond is a small shop in size, but it’s a powerhouse performer for the company and a proud member of our 12-shop roster. By having the proper training and experience to work with the collision industry’s latest tools, systems and products, customers flock to Mike’s Auto Body in Richmond for quality repairs. Bringing peoples’ damaged vehicles to their pre-accident condition is always our #1 deliverable and that’s why every collision repair job at any Mike’s Auto Body location will be the best available. Mike’s Auto Body in Richmond is poised and prepared to work on your car and that’s why this shop fixes thousands of vehicles every year right here in Richmond. Bruce started working for Mike’s Auto Body in 1999 and he now manages our collision repair facility in Richmond, CA. 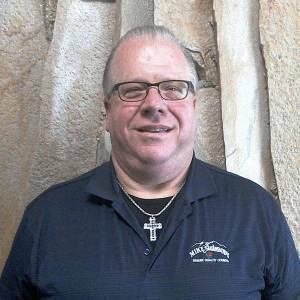 He works hard to fulfill our mission and acts as an effective leader as well as an outstanding mentor at our Mike’s Auto Body in Pittsburg. Bruce Hubert has been with Mike’s Auto Body for 15 years and is a 27-year veteran of the auto body shop business and that’s why we often tap into his experience whenever we can. When we completely wow a customer and deliver superior service I get excited. We do everything possible to make sure our customers are completely satisfied on every repair. Mike’s will always go out of their way to take care of their customers, and that’s we get great reviews.